Parking for Bank of America Celebration at the Station can be found throughout the area. Many garages and surface lots charge for parking, most are $10-15 cash per vehicle. It is suggested that attendees park in the areas north of Union Station. The Kansas City Streetcar will be in operation for the concert and will run until midnight. 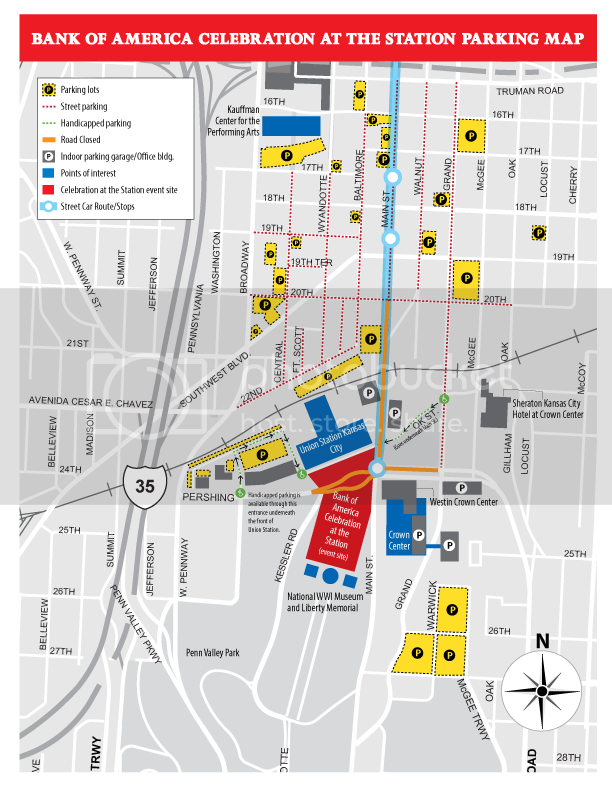 Visitors may park along the streetcar route and ride to the corner of Main and Pershing.